As diamonds under heat and pressure transform from coal to shining crystals, some of today’s orphaned youth who have gone through great adversity and pain, are becoming sparkling gems on this earth. Read this story of one such youth: Fortunate Maile, age 24. Fortunate Maile is one of the 50 million orphaned youth in Sub-Saharan Africa. * She lost her father as a baby and was raised by a single mom until her mother also died when Fortunate was at the tender age of 15. Left alone with her two older brothers, her small family now lacked the most basic necessities of life; with no parents they had no guidance, discipline or oversight, no one to cook food for them, no one to help them through school. Fortunate was left vulnerable and especially susceptible to any man coming along promising the things that teenage girls want – clothes, phones, food, love. Fortunate had a deep felt need. She dreamed of having a big job that made lots of money so that she could take care of her needs but also help many others that faced the same dilemmas. Eventually she was found by volunteer local care workers who were caring for children like herself. Through them and other youth leaders she also got involved in the work and learned her own God-given potential as a leader. 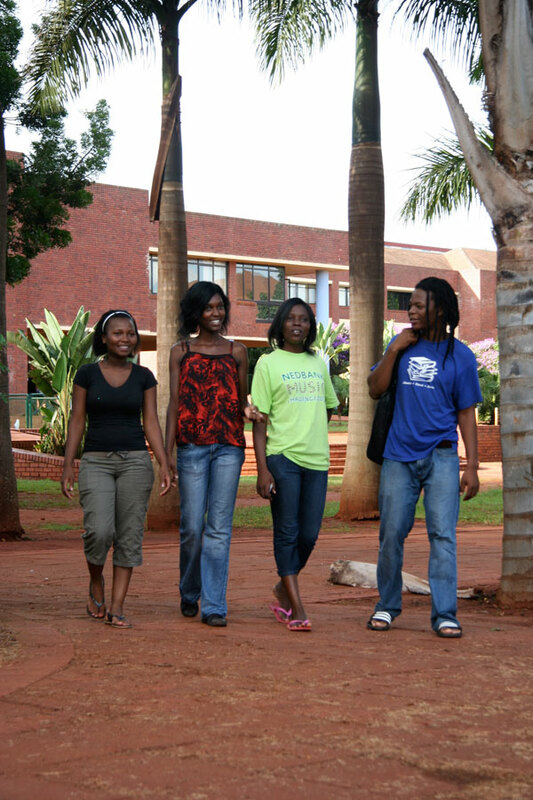 Fortunate Maile (second from left) with fellow youth leaders and school peers at Venda University, South Africa.When Fortunate finished school she was supported by Hands at Work and found bursaries that took her to university to become a social worker. “Now that I have been supported to achieve university, I see the purpose of my life. My parents were taken from me so I would be completely exposed to the pain and problems in my community. I have lived those pains, and when I finish university, I will return and make a difference in my community,” she says. The condition of her community becomes her main motivation to study hard at the university. This past December, she continued to encourage and guide youth across many Hands at Work supported communities by leading youth camps. 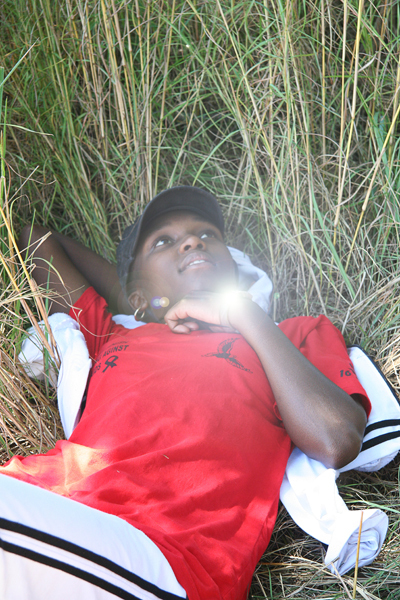 She has now realized the bigger impact that she is able to make on desperate communities and youth in South Africa.